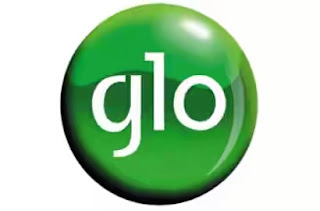 Glo is still trying to top the chart on network providers in Nigeria as recently Glo introduced a new Mobile WiFi that enables you to share your data bundle with other devices, such as, Computer, Android, Tablets, window and any other wireless enabled cell phone. The new Glo mobile WiFi can share network with 8 devices and still maintains its bandwidth speed. It was sold at 18,000, but now Glo sells it at N15, 000. With 6 months of free data bundle. This offer is for you as a Businessman, Bloggers with multiple computer, family and Roommates You can still get MTN Mobile WiFi at N18.000 with the same capacity as Glo. Here are some advantage of this mobile Wife. It improves battery life, because normal mobile data connection reduces battery life easily It helps you to stay connected on multiple devices It’s faster and user friendly. The Mobile WiFi can be changed and it has a long lasting battery capacity, You would surely get the value for your money as you can use it for commercial purposes. Frequently Asked Questions == Can this be hacked for free browsing? No for now == Can someone add a password to it to prevent other people from using the shared network? Yes, you can easily do that. Become a service provider in your area. Thanks. Nice blog you got there..